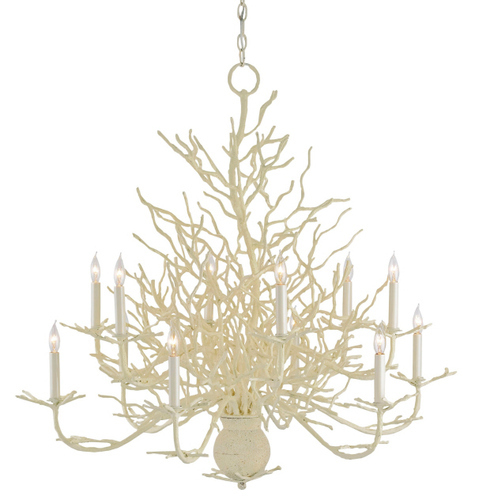 The Large 12-light Seaward is a wonderfully sculpted rendition of a faux coral chandelier. 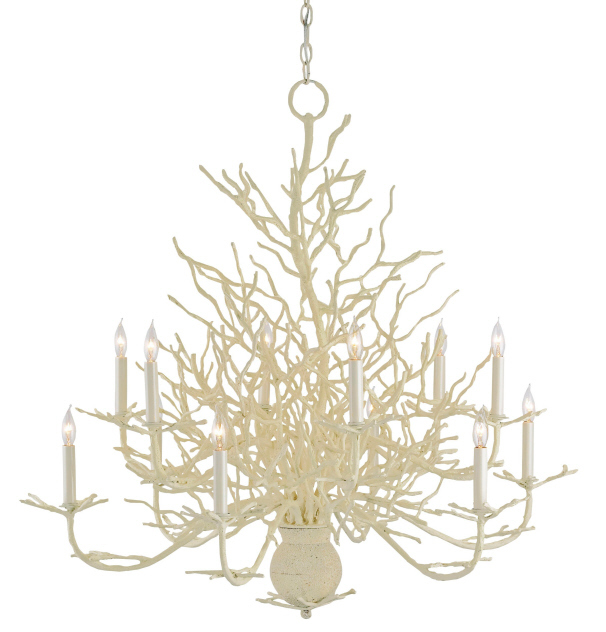 Made from wrought iron with the off-white finish enhanced with the natural looking application of sand. This grand chandelier measures 39"dia x 37"H. It takes twelve 60 watt candelabra lights for a total of 720 watts with a 6' chain length.